Released on Dutton Epoch, John Lenehan and Leon McCawley perform the Concerto for two pianos by Vaughan Williams. They are joined by the Royal Scottish National Orchestra conducted by Martin Yates who also perform the London Symphony in a fascinating and rarely heard version which includes music which was later cut from the final edition. Zemlinsky's marvellous Trio in D minor is performed by Emma Johnson, Frans Helmerson and John Lenehan. Helmerson joins his colleagues in the Michelangelo Quartet and Emma Johnson for the Brahms Clarinet Quintet. Recorded at Wyastone for Nimbus. A 2006 rectal in Toronto with the acclaimed Israeli violist Rivka Golani (originally recorded for CBC Radio) has been issued as a double CD by Hungaroton. The programme was of Russian works and consisted of sonatas by Rachmaninoff and Shostakovich as well as two extensive suites of music from Prokofiev's ballet "Romeo and Juliet" in composer-approved arrangements by Boris Berezovsky. For use in TV and Film, these compilations include over twenty original pieces by John Lenehan specially composed to an exacting brief - each should set a mood quickly and last just thirty seconds! The pieces can be heard by visiting the West One site (http://www.westonemusic.com/) and typing "lenehan" in the "Music quick search" box on the left. The music of Julius Rontgen, friend and colleague of Brahms and Grieg, is explored in this release. The influence of both composers is evident yet Rontgen has a distinct voice of his own. John Lenehan is joined by Japanese violinist Atsuko Sahara. Music by Lithuanian composer Juozas Gruodis for Violin and Piano performed by John Lenehan and Christopher Horner. 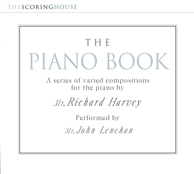 Includes the Sonata for Violin and Piano, the second Piano Sonata and a suite of songs transcribed for violin. Beautiful but sadly neglected music. The CD is available from Discovery Records. Released on 28th April by Naxos is the debut recording of the London Soloists Ensemble in chamber music by Ralph Vaughan Williams. Featuring the marvellous but rather neglected early quintets paired together for the first time on disc. Released on 15th April. The final track of this new CD of the Brahms Violin Sonatas from Decca is an arrangement by John Lenehan of the ever popular "Wiegenlied". Also released on 15th April by Champs Hill Records - "Brave New World" - Sonatas for Clarinet and Piano by Prokofiev, Rota and Hindemith. 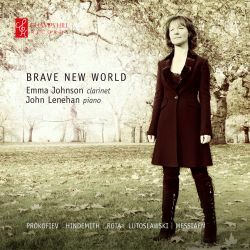 Emma Johnson and John Lenehan follow their acclaimed CD of Brahms with a mix of composers writing in the 1930s and 40s. The disc also includes music by Lutoslawski and Messiaen. Alisa Weilerstein's all Dvorak disc contains two specially written Lenehan arrangements - "Lasst Mich Alein", a song written shortly before the famous Cello Concerto (the main work on this disc) and "Goin' Home" - otherwise known as the slow movement from the New World Symphony. Three arrangements are included on this compilation disc of some of Nicola's most popular recordings - Por Una Cabeza - the tango that featured in "The Silver Violin" album and two other tracks here released for the first time - Brahms' Hungarian Dance no. 5 and Monti's Czardas in versions with accompanying strings, piano and accordion. 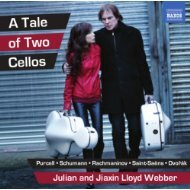 John Lenehan accompanies Julian and Jiaxin Lloyd Webber in "A Tale of Two Cellos" - a collection of arrangements of (mostly) vocal duets for two cellos and piano. Available on Naxos, It includes John's Arrangements of "Chiquilin de Bachin" by Piazzolla and "Sweet and Low" by Barnby. John Lenehan's arrangement of Ennio Morricone's "La Calliffa" is part of Joseph Calleja's album "Amore". Released by Decca it is the second time John has written for "The Maltese Tenor". Ksenija Siderova's new disc for Champs Hill Records includes John Lenehan's arrangement of "Oblivion" by Piazzolla for Accordion, Violin and Orchestra. 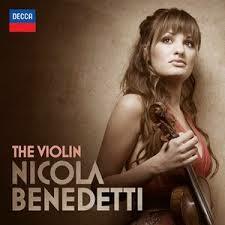 She is joined by Thomas Gould (violin) and the BBC National Orchestra of Wales conducted by Clark Rundell.